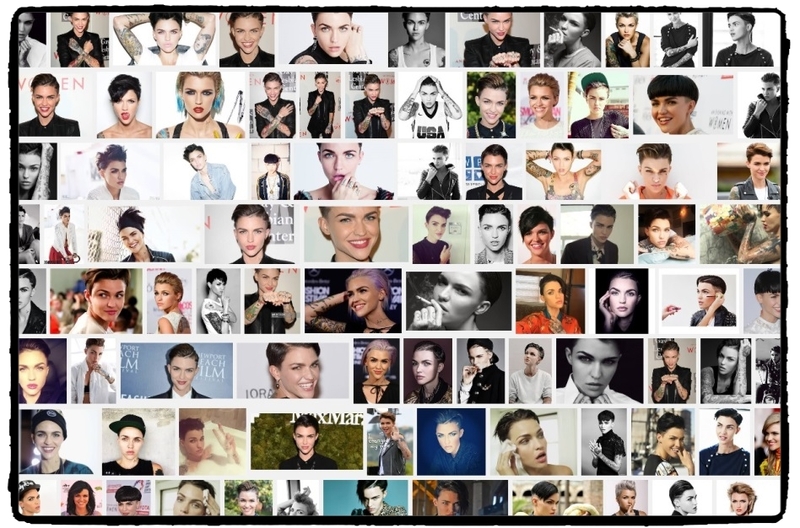 Ruby Rose Langenheim, better known as Ruby Rose, is an Australian model, DJ, recording artist, actress, television presenter, and former MTV VJ. Rose emerged in the media spotlight as a presenter on MTV Australia, followed by several high profile modelling gigs, notably as the face of Maybelline New York in Australia. In addition to her modelling career, she has co-hosted various television shows, namely Australia's Next Top Model and The Project on Network Ten. Rose pursued a career in acting from 2008 onwards, with her debut performance in the Australian film Suite for Fleur. In 2012, she had a small role in the drama Around the Block. Perhaps her most internationally recognisable work has been on the television series Orange Is the New Black as Stella Carlin. Although her personal life sometimes overshadows her acting and modeling career, she has achieved praise for her work in the series. Rose first gained fame by joining the Girlfriend model search in 2002, which she came in second to Catherine McNeil. In 2010, she collaborated with the Australian fashion label Milk and Honey to design a capsule fashion line, which embodies her unique style and personality. The collection named Milk and Honey Designed by Ruby Rose includes washed jeans, leather jackets and T-shirts with unique designs. The newly created clothing line is available in selected retailers in Australia. In addition to designing for Milk & Honey, Rose also released a collaboration collection with street footwear brand Gallaz. In 2014, Rose began collaborating with her fiancée Phoebe Dahl, designing ethical street-wear for their clothing range Faircloth Lane. She has featured predominantly within mainstream fashion titles, including Vogue Australia, InStyle Magazine, Marie-Claire Magazine, Cleo, Cosmopolitan, Maxim, Nylon and New York’s Inked Magazine. She's been the Australian ambassador for JVC, Australian jeans company JAG and luxury Danish label Georg Jensen. Rose is the face of Maybelline New York in Australia. What has Ruby Rose been wearing lately? Let's take a moment to learn more about the fashion, jewelry, or beauty products that Ruby Rose has been enjoying.